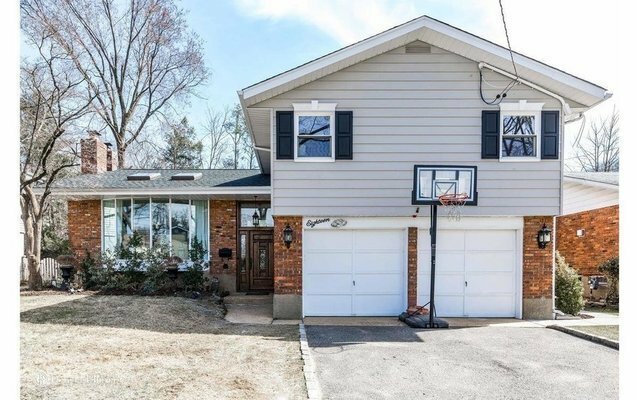 Large split level home in Harbor Hills with 4 bedrooms and 2.5 baths. Eat-in Chef's kitchen with Wolf range, along with open concept to dining room. Elegant wood-work throughout. Lower level boasts a large den ,recreation area and a separate laundry room. The kitchen and baths are updated. The property is in a mid block location with a generous fenced in yard. It is within a block of Lyons Field and approximately a mile of the town, dock, school and train. A Must See!